It’s amazing how much can change in a year. Just ask Moli, a farmer and father of four from the remote island of Malo, Vanuatu, who until recently had never left the country and was struggling to support his family. This time last year he joined one of the trainings provided by World Vision, as they began to partner with farmers on the island to improve the quality and quantity of the crops through training and connecting farmers with buyers willing to pay a fair price for their products. After years of toil with limited success, Moli switched to producing cocoa beans, and as it turns out, he was seriously good at it. 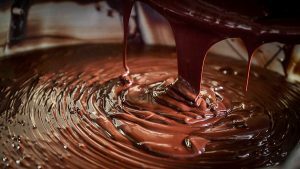 To the point that Moli needed to get himself a passport as he travelled to Paris for the Salon du Chocolat International Cocoa Awards, the biggest chocolate and cocoa event in the world. Moli’s beans had officially been recognised as being in the top 50 in the world, and when there are over 4.5 million cocoa farmers worldwide, that’s a truly incredible feat. 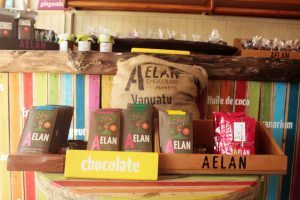 Moli’s hard work was recognised by Sandrine Wallez, the Director of Alean Cholocate Makers, as well as the Alternative Communities Trade in Vanuatu Assoication (ACTIV), an organisation which supports farmers. 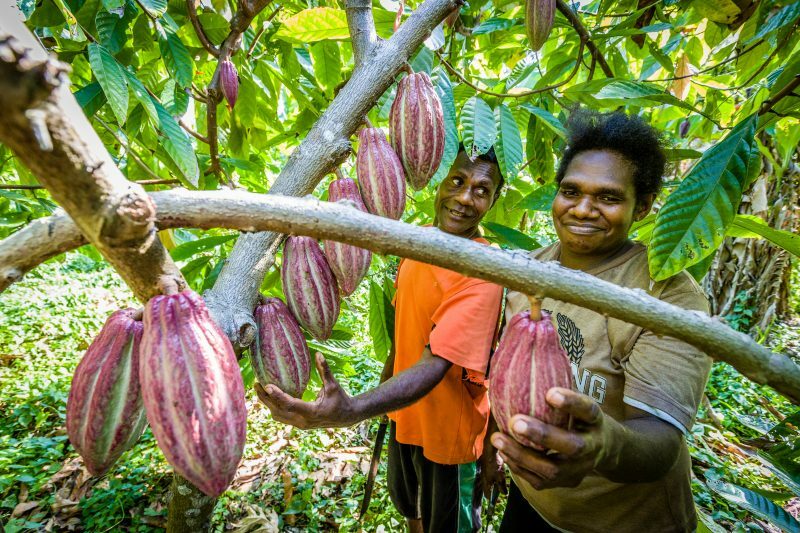 Sandrine was so impressed by his work that she put Moli’s entry forward, as well as purchasing his cocoa beans to produce a single-origin chocolate which sells in the Vanuatu’s capital city, Port Villa. When Moli heard the news via text message, he said that he couldn’t talk for five minutes. “Tears were flowing…tears of joy were just flowing. Moli also said that in that same moment he felt a shift in his life “like I was flying like an eagle in the sky”. Indeed, his life has shifted, since taking part in the World Vision project, Moli’s household income has increased by a whopping 400%, enabling him and his wife Monique to consistently send their children to school and provide them with a balanced diet. Whilst Moli didn’t win the grand prize in Paris, he was incredibly proud to represent himself, and his fellow farmers and countrymen. Not only that, he is determined to return to Paris and do one better! The flow-on effects have been significant. Sai Silas, the community chief and also the chairman of the organic copra and cocoa committee has said that since returning home, Moli’s achievements have helped inspire other local farmers to upskill and improve their own situation, and has shared what he has learned from the project with everyone who has shown interest in cocoa farming.